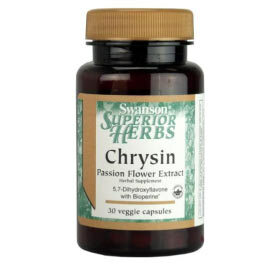 Chrysin is a molecule in the flavonoid family that is found in plants such as passionflower and some geraniums, as well as in honey and propolis produced by bees. As a flavonoid, chrysin may have some antioxidant properties, which may reduce risk for developing cancer. It has also been used to reduce symptoms of anxiety, inflammation, and gout. Preliminary research suggests that it may be used to treat baldness. Studies have shown that chrysin has potential to help prevent and enhance the treatment of cancer. While chrysin is not highly absorbed in the body, new formulations of this and other flavonoid are being created to increase their bioavailability. Further research must be conducted to determine the effectiveness of the new formulations, but current supplements of chrysin may still have a small impact on cancer prevention. 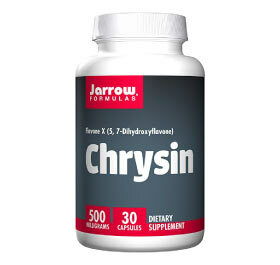 Research also confirms that chrysin has anti-inflammatory properties to help reduce inflammation. It has been used to reduce the symptoms of gout, osteoarthritis, and is currently being studied as a potential modulator for chronic asthma. 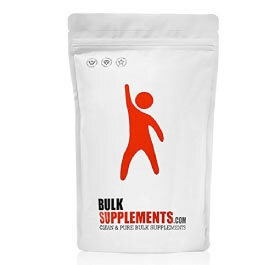 In the past, chrysin has been used in order to boost testosterone levels. 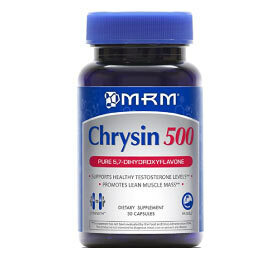 As such, bodybuilders and intense athletes were particularly interested in chrysin for this benefit. 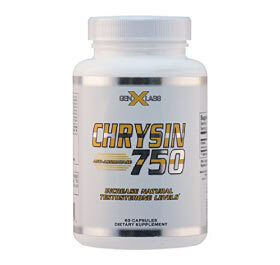 However, research shows that chrysin is not absorbed well enough to produce any significant increase in testosterone levels, even when taken with certain steroids. 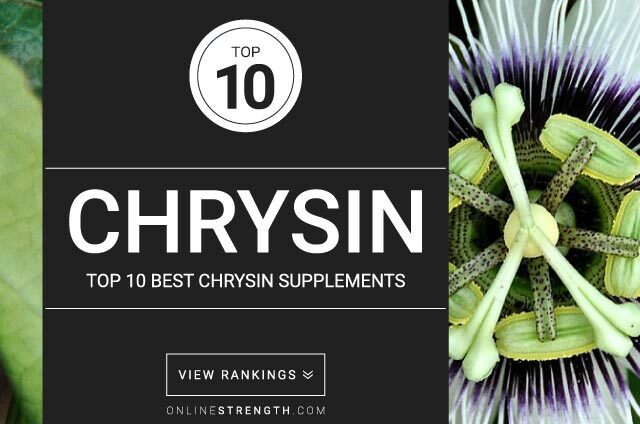 Chrysin may interact with certain cancer drugs that reduce estrogen. 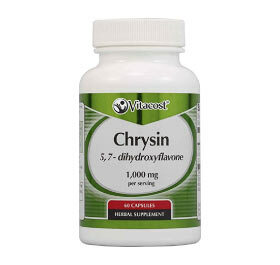 Since chrysin has potential to also reduce estrogen, a physician should be consulted before taking the supplement to ensure proper estrogen levels will be maintained. There is no standard dose for chrysin use. Studies have used oral doses anywhere from 400-3,000mg depending on the use. A health professional should be contacted in order to determine an individual optimal effective dose.